Simply put, a staggering number of adult consumers are gathering on social media outlets, which makes Facebook, Twitter, Instagram, and other social outlets the perfect venue to grow your brand. Continue reading to learn more about the ins and outs of social media marketing. Social media marketing is the process of expanding the reach of your brand or simply getting traffic to your site through social media outlets. This form of marketing hinges on creating engaging content to attract the attention of readers. More importantly, these users share this content with other users or friends. Instead of an untrusted third party source presenting consumers with a message, this message comes from a trusted source through word-of-mouth. As a result, social media is able to effectively work on earned media instead of paid media. Social media marketing represents an amazing vehicle for increasing brand exposure. At the same time, social media provides brands with an opportunity to bolster customer service and several other facets of business. Most importantly, when social media marketing is done properly, it’s a relatively inexpensive way for brands to engage consumers. Social media marketing hinges on your ability to create lucrative and engaging content for audiences. However, if you don’t know where to start, you could be spending countless dollars and time creating content your audience could care less about. The ideal solution is to use the wide array of tools to help guide your social media content creation and curation efforts. If you are looking where to start, tools like Hootsuite and Percolate offer innovative ideas and methods for creating or curating highly engaging content. 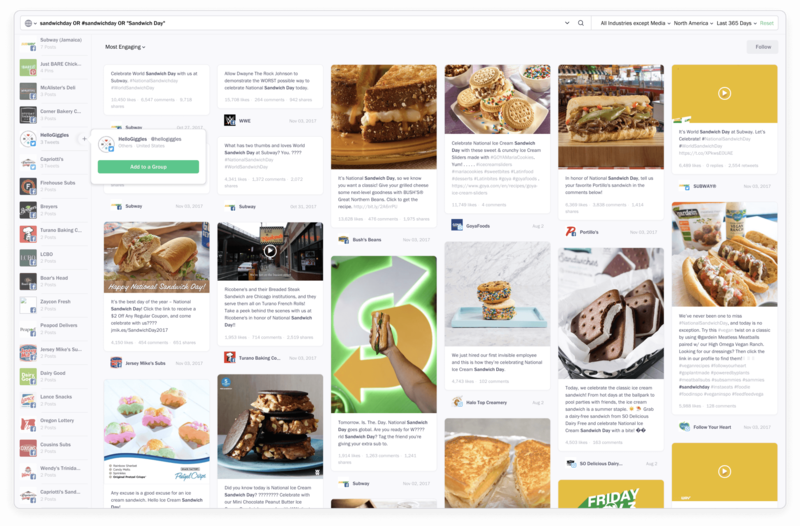 Unmetric’s latest feature named Discover is a social media search engine and gives marketers access to millions of pieces of brand content from across the world. Type in “Christmas” or “Super Bowl” or “chocolate” and thousands of pieces of relevant content comes streaming in, all within a matter of seconds. The content can be arranged in order of date or engagement to get those creative juices flowing. 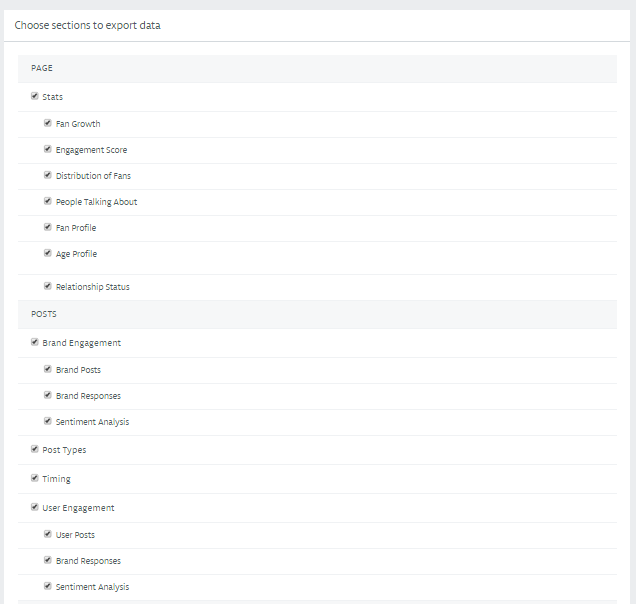 When it comes to social media marketing, it’s vital for you to always know what the other guys are doing through social media campaign analysis. Has your competition discovered your secret for social media marketing or are they still aimlessly search for the answer? In either case, you must always keep score to compare your efforts against the competition. Having consistent competitive analysis of social media profiles will help you understand how your own efforts stack up and hopefully, keep your brand ahead of the curve. Unmetric gives users access to the social media performance of over 30,000 of the biggest brands in the world across all the major networks across 30 of the biggest sectors. Metrics like Fan Growth, Demographic, Engagement, Reply Time, Admin Participation and more can be compared. 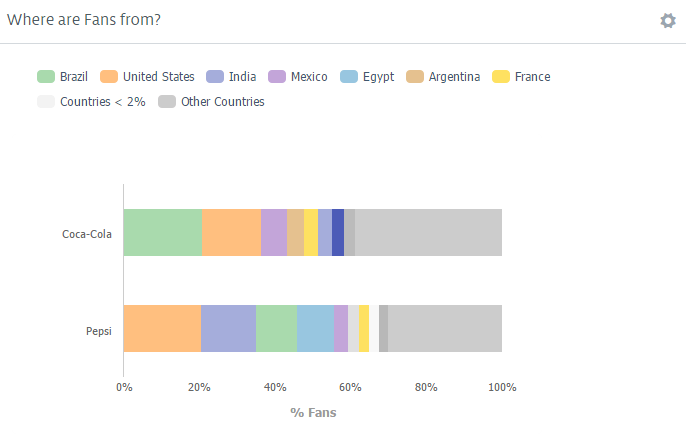 For global brands, you can quickly understand in what parts of the world your competitors have a strong hold and in which regions you are excelling. Although social media marketing may be an effective way to engage audiences, it doesn’t happen by magic. Instead, successful social media marketing campaigns are the result of consistent social media metrics analysis and social media marketing analysis. By knowing which metrics to you use, you will be able to make the perfect tweaks and adjustments to catapult your brand toward success. However, social media engagement analysis isn’t necessarily easy and not all metrics are created equally. Unmetric users can download customizable reports which can be either exported in excel or power point. Simply put, any social media marketing campaign will hinge on your ability to create, compare, measure the results, and make the appropriate tweaks to the campaign. Failure to do so can be costly and ultimately be the downfall of your efforts. Instead of aimlessly stabbing at it in the dark, Unmetric is an easy-to-use tool that effectively combines these three aspects. Unmetric provides insights and data analytics to inspire you to create the right content and share it on social media at the right time. Unmetric takes the confusion out of comparing the social media marketing efforts of your competition. Instead, you will have access to easy-to-read metrics that truly matter without all of the hassle. 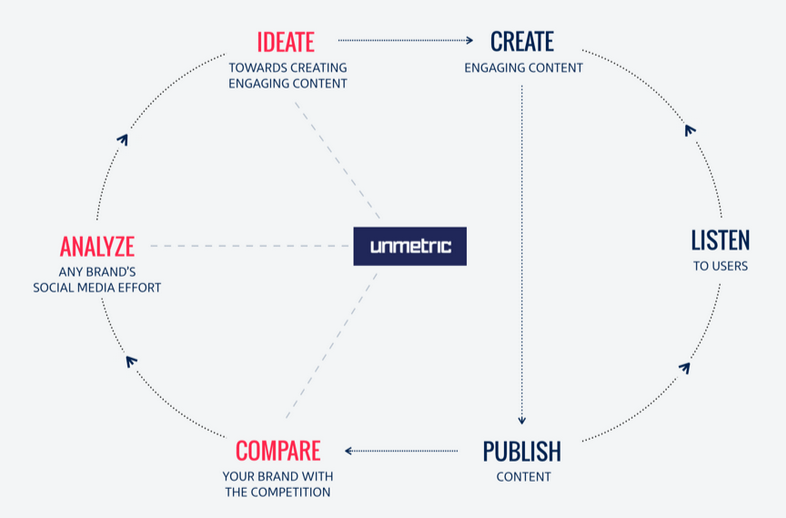 Unmetric allows you to quickly analyze your brand and your competition in the most relevant way possible. With over 50 available metrics across the top six social media platforms, you’ll be able to clearly understand what has happened and the best direction of your future social media marketing efforts. Unmetric is the one tool you must have for an effective social media marketing campaign. With the ability to ideate, compare, and analyze in one convenient app. Unmetric integrates with your workflow and works in tangent with other services. Try out all these amazing features, by signing up for a trial or demo. Click on the button below.